FEATUREDHelmut Lang's Resort 2012 collection features some beautiful prints with x-ray like images of birds in flight ~ as well as some subtle feathery adornments. VIDEOImpressive remote controlled flying skills in this fly-over video of Venice Beach, CA from Robert McIntosh. FEATUREDInfo-Graph-Iti? 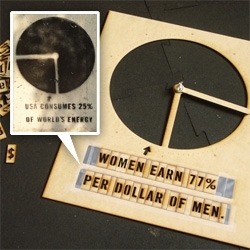 Golan Levin has developed a DIY stencil for rapid deployment of infographic graffiti/street art. What will YOU share? 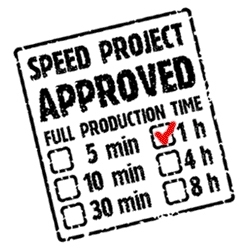 VIDEOWorld's first Mobile Work Station used extensively throughout the world by globe trotters, xtreme outdoor enthusiasts, military & government agencies. 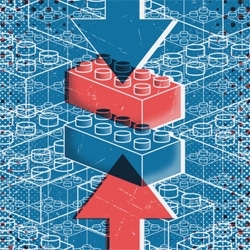 Originally designed for Apple Inc.
Love these duplo-esque prints from By Andreas ~ this is Click ~ and the mind bending 'Impossible' is awesome as well! 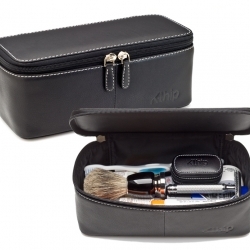 Klhip's Dopp Kit is the 21st century version of an age old favorite! Simple. Modern. Sleek. Compact. Handcrafted in Spain. Taxi has created a unique game for Internet Explorer 9. 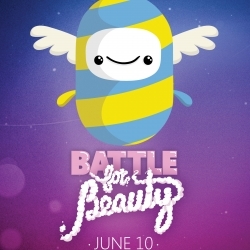 The Battle for Beauty is the first HTML5 multiplayer game to be played simultaneously online and in the real world. 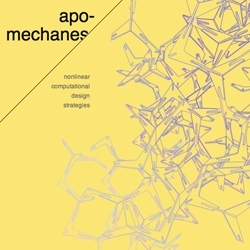 Apomechanes is an intensive computational design studio held each summer in Athens, Greece. 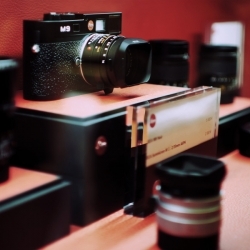 The studio is devoted to furthering techniques and concepts of algorithmic processes as means for design and fabrication. VIDEONIGHTSURF is a gorgeous and inspiring short film directed by Iker Elorrieta. Beautiful for surfers and non surfers alike. ‘A Movable Canvas’ by Emily S. Rueb for The New York Times. 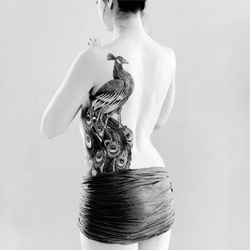 Photos by Piotr Redlinski. 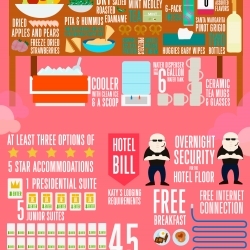 This infographic visualizes the ridiculous tour rider demands of pop princess Katy Perry. Don't stare at her in the rear view mirror, and make sure to always have egg chairs for her lounging pleasure. 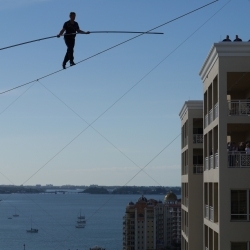 VIDEOIncredible video of high wire walker Nik Wallenda performing the same walk that killed his grandfather 30 years ago in Puerto Rico. Video camera attached to his balance pole, gives the viewer a very unique look at this amazing feat. 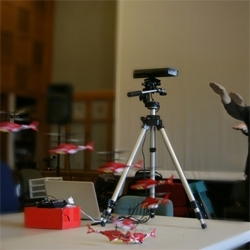 Kinect gesture controlled helicopter! Shawn Sims' kRC is a gesture interface for the RC copter ~ video shows you how it's done with arduino and processing. 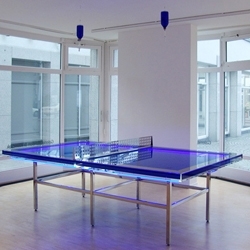 One of Hans Kotter's many cool light sculptures: a neon-infused ping pong table with blue oil IV. 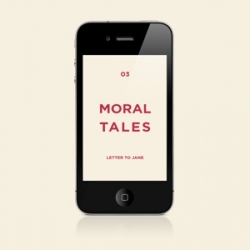 Moral Tales for iPhone is a DIY collaboration with photographers and artists from all around the world. 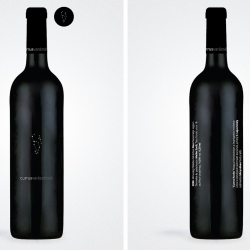 Beautiful wine labels of Currus Wine Cellar. 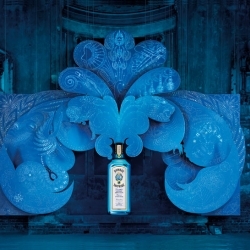 The making of Bombay Sapphire Imagination Installation. 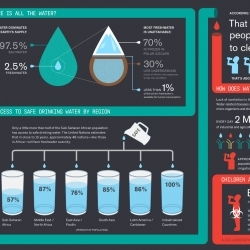 This infographic visualizes the embarrassing lack of clean water access in the world. Especially when unsanitary water kills more people worldwide than war. VIDEOArtist James Bullough & Karl Addison collaborate on a massive Tyrannosaurus Rex sporting a suit and a gold chain. 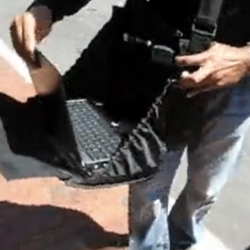 Time Lapse video documents their progress & fun throughout the day of sun, rain, sun & evening. Forget about water guns this summer. 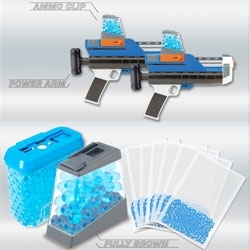 Xploderz water pellet guns are more like paintballs, and you can 'make your own' ammo by soaking pellets of the superabsorbent polymer. 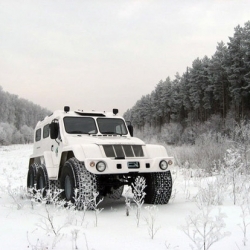 The Trecol is a well designed six wheel truck which can take on the toughest terrain...even designed to float on water!! 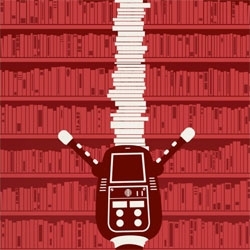 New wallpaper from Andreas Bruzelius Berger. 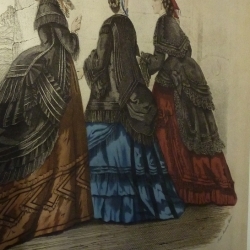 Fashion from old books. This is the next collection after Exotic Feathers. 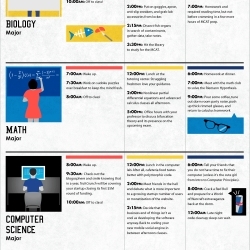 This infographic shows how college students from different majors spend their days. 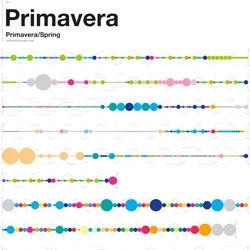 Vivaldi's four seasons beautifully visualized by Laia Clos. So it's a t-shirt, or is it a respirator? Is it functional? ...maybe, you decide! It certainly makes for a cool t-shirt. 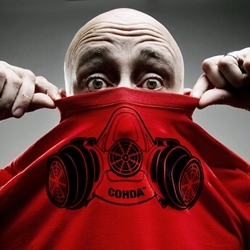 The designers at Cohda were inspired by seeing people in workshops substituting a t-shirt for a dust mask/respirator. 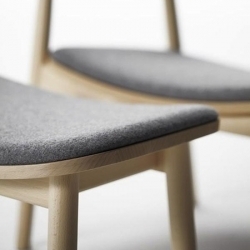 'Hiroshima' chair is done by Naoto Fukasawa for Maruni, the chair conveys an elegant simplicity that places this piece of furniture between design and craft. 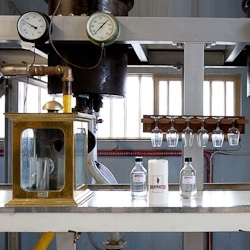 FEATUREDA guided tour of Beefeater London ~ The massive distillery offers a fascinating look into the long history and the art of London gin... plus a gin botanical petting zoo! 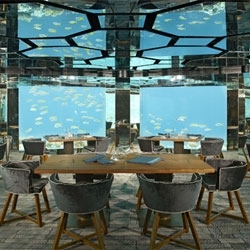 Anantara Kihavah Villa's unique underwater restaurant, Sea. 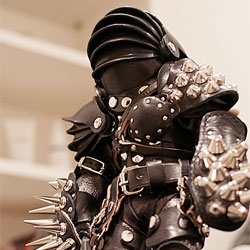 Hedgehog of Death Leather Sculpture by IC4DESIGN. 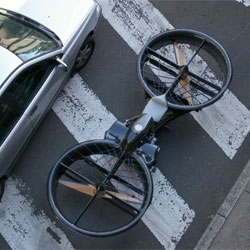 The Malloy Hoverbike, an impressive ultralight aircraft. 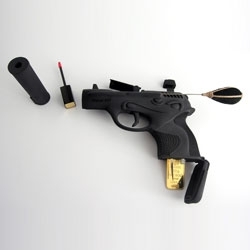 Ted Noten's 'Necessities for a Woman (to Feel Like a Woman Through the Eyes of a Man)' includes parts of guns made from 3-D printed nylon loaded with cosmetics, hairpins, USBs and pharmaceuticals. Parasite Office designed by Za Bor Architects. The new work by Jonah Takagi presented in Milan at Salone Satellite and in New York during ICFF. 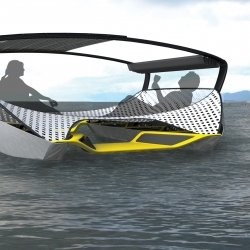 A folding solar catamaran concept dubbed a 'portable, affordable beach party away from shore' created by designers Jeffrey Greger and Timo Bücker while studying abroad in Darmstadt, Germany. 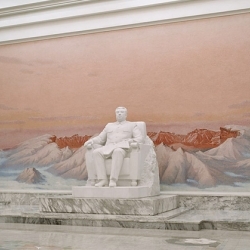 UK photographer Charlie Crane focused his camera on the sterile landscape of Pyongyang, the capital of North Korea. FEATUREDHappy Friday from NotVentures! Gear up for the weekend with this roundup of travel inspiration. 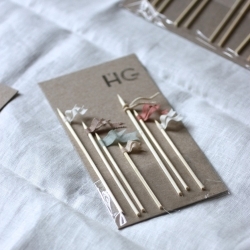 Herriot Grace make beautiful hand-crafted kitchen products made from 100% salvaged wood. 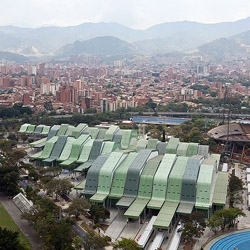 Four Sport Scenarios by Giancarlo Mazzanti + Felipe Mesa (Plan:b) mixes a semi-covered public space with the sports areas and gardens. 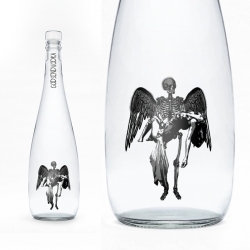 God Send Vodka. 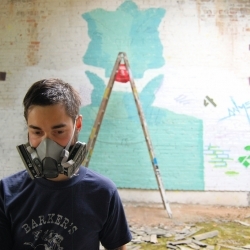 A collaboration between TACN Studio in Vancouver and Jonny Doomsday. 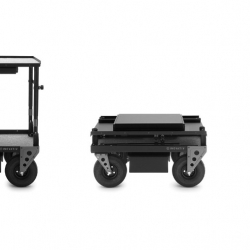 Inovativ provides the film and photography industries with mobile equipment carts that are specifically designed and constructed to meet their unique needs. BlobV83 is a mobile housing unit by dmvA Architecten. 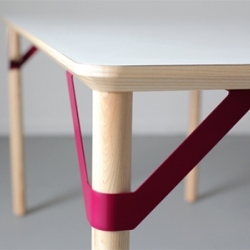 Coffee table Bye-Bye Bird Design by Runa Klock of Frøystad + Klockis. 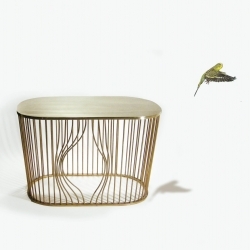 The table is made of brass, inspired by old classic wire furniture, but with a humorous and functional twist! VIDEOSinging heads in boxes??? Creative duo JonJai make their music video directorial debut. 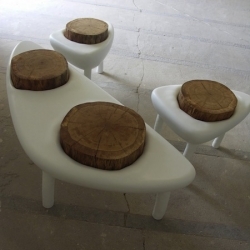 'Cratere' garden furniture is made from polyester resin and oak, by designer duo Binôme-Jardin.